LCD Soundsystem are the perfect band to narrate an absolutely amazing day spent running around New York City, and seeing them play Brooklyn Steel is the perfect way to close that day. I began June 19th at the Tarrytown Train Station in Westchester County, New York. Over the course of the day, I would travel to a wine tasting followed by lunch in Brooklyn, back to one of Manhattan’s top bars for cocktails, then back to Brooklyn to catch LCD Soundsystem at their second run at Brooklyn Steel. Normally, this much daily context would be irrelevant to a piece about an LCD Soundsystem show, but LCD’s music is built on days like this, manically running around New York, having an amazing time on warm June nights. It’s uplifting, danceable, and cathartic all in one, and closing the day out with James Murphy and company was truly a treat for a Monday night. 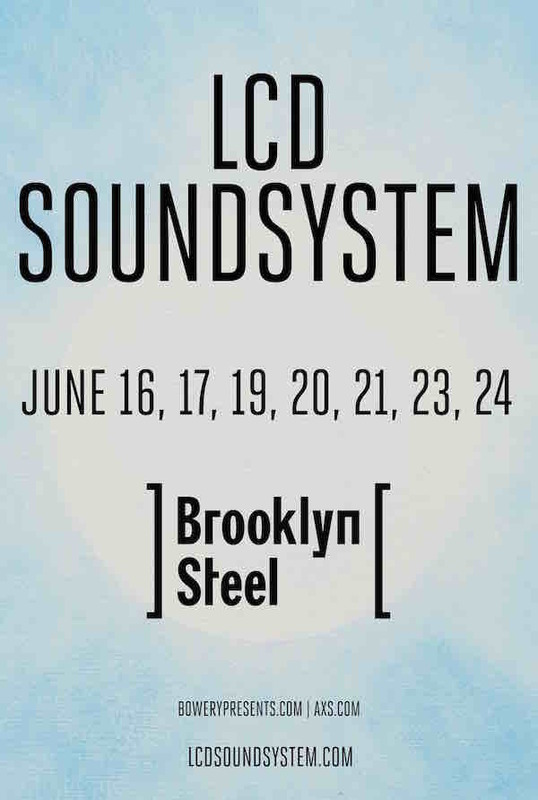 This run of LCD Soundsystem shows didn’t have the same level of excitement as their original, opening of Brooklyn Steel did, but it’s truly a testament to the band at how special they make these shows feel. The band opened with “Us V. Them,” a funky number, which easily set the mood for the rest of the evening. For the next two hours, Brooklyn Steel was dancing. 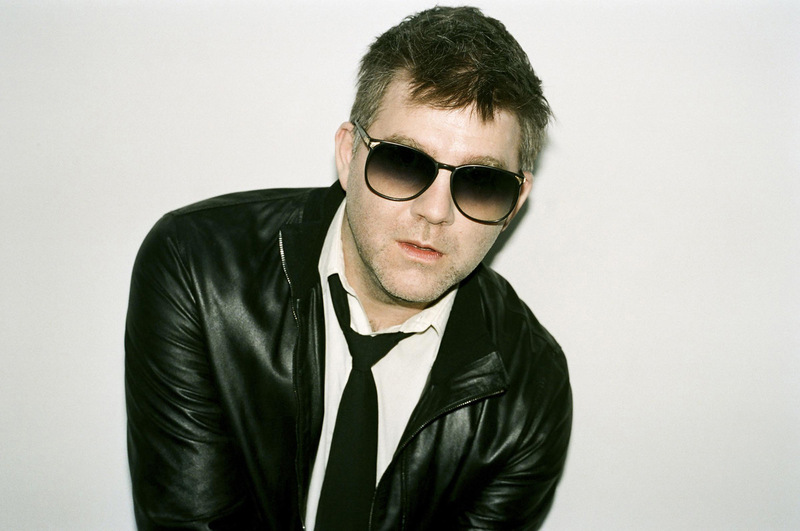 James Murphy is massively fun to watch, as he commands the stage, and it’s hard to take your eyes off of him. Even if Murphy loses your attention for one moment, their stage set up is so stacked that there is always something to keep an eye on. Every musician in LCD has both the technical skills and excitement to really bring a song like “Daft Punk is Playing at My House” to life. They certainly take the grooves seriously. The band’s ten song main set were easily the most fun LCD songs that they could cram in. Hearing “Tribulations” and “Movement” back to back is surely one of the most fun moments of the night. Even more laidback songs like “Home” elicit a massive amount of energy from the crowd, but the closing of the set with “New York, I Love You But You’re Bringing Me Down” is easily one of the most awe-inspiring moments of any live show. It’s the perfect closing to a perfect day spent in Manhattan and Brooklyn. There isn’t a better way to end a show or a day. But, of course, there is, and it came when Murphy and company reentered the stage. LCD played four new songs as their encore. “Emotional Haircut,” “Tonite,” “Call The Police,” and “American Dream” are all easily classics that bring a new level of introspection to LCD’s giant sound. American Dream is surely going to make year-end lists and be a hot commodity come September. Still, there was truly only one way that LCD could close this show, and it was with “Dance Yrself Clean” and “All My Friends.” “Dance” is an excellently crafted song that is extraordinary to hear live. It’s really something else to hear how it builds on itself in a live setting. “All My Friends” is easily one of the most perfect songs ever written. Murphy moves like no other frontman during this song, and when you think of essential New York songs, “Friends” is easily one. As I ran from bar to restaurant to bar early that day, “All My Friends” was constantly ringing through my mind, and to hear Murphy belt, “If I could see all my friends tonight,” was truly the cherry to an amazing day. LCD Soundsystem is doing another run of these shows December, and it is easily worth the trip to Brooklyn.